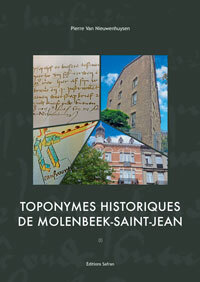 The title of this study means Historical toponyms in Molenbeek-Saint-Jean. Its main object is to deal with the names of this parish/ commune until about 1850. What’s more, we have studied the local “toponyms in use”, in other words those created by the local people and appeared in the second half of the 19th century and until the years 1950-1960. For each toponym, it is possible to find significant witnesses of its linguistic evolution, and an explanation is brought forward for consideration. Moreover, most names are placed on two maps.